Seattle has a richly funded life science sales market that biotechnology vendors and lab suppliers may want to learn more about, especially taking into account recent NSF and NIH research funding statistics at Fred Hutchinson Cancer Research Center. In 2012, Fred Hutchinson was awarded $223.9 million by the NSF and NIH. The NSF awarded the center $878,057 in research funding. The NSF-funded projects span a number of programs in the life science field, including evolutionary processes, behavioral systems and genetic mechanisms. In addition to receiving NSF funding, Fred Hutchinson Cancer Research Center was awarded $223 million in research funding by the NIH in 2012. 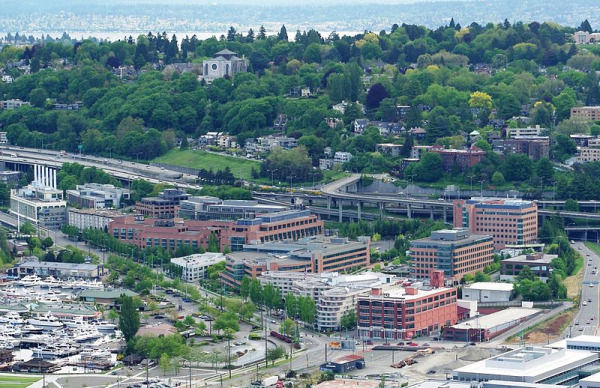 The departments receiving funding included a variety of research disciplines, and Fred Hutchinson Cancer Research Center was given 249 awards in total. The center's funding is competitive with some of the best research institutions across the country: In 2011, the NIH ranked Fred Hutchinson Cancer Research Center 21st in the country for direct plus indirect research costs, excluding R&D contracts and ARRA awards, making the total $239.3 million. Fred Hutchinson Cancer Research Center was awarded nearly $17 million for projects focused on colon cancer biomarker diversity as well as breast and ovarian cancer biomarker validation, according to FHCRC News. The center also employs three Nobel Prize winners, has an annual research budget close to $400 million and is famous for its ground-breaking innovations in cancer research. FHCRC News also reports that Fred Hutchinson Cancer Research Center received two grants totaling $10.1 million from the NIH for a high-performance computing cluster and to create a campus-based facility for consolidating and safeguarding research data. If you are a lab supplier or biotechnology vendor, don’t miss out on getting to know the life science sales market at Fred Hutchinson Cancer Research Center! Biotechnology Calendar, Inc. invites all vendors and researchers in the life sciences to attend our annual Hutchinson Center BioResearch Product Faire™ Event held on October 23, 2013. Last year, the Hutchinson Center BioResearch Product Faire™ Event was visited by 151 attendees. Of those attending, 18 were purchasing agents, professors, and post docs, and 8 were lab managers. The attendees came from 10 different research buildings and 20 departments campus-wide. Exhibitors value our trade shows highly because we provide a space where they can easily and economically network with lab suppliers and meet researchers. The well-funded universities at which we run our trade shows point to a valuable market of researchers, lab managers and purchasing agents. Biotechnology Calendar, Inc.’s professional services and intimate atmosphere make it easy to discuss your company’s newest technologies and supplies with hundreds of attendees within the space of a few short hours. Biotechnology Calendar, Inc. is a full-service science research marketing and event-planning company that organizes events and trade shows at top quality research universities across the country. For more information on our Hutchinson Center BioResearch Product Faire™ Event, or to view more funding statistics for the Fred Hutchinson Cancer Research Center, click on the button below. If you’d like to learn more about a life science sales market closer to home, we encourage you to check out our 2013 calendar of events.